One of my favorite movie-going experiences was seeing the original MAD MAX at an old movie theater not knowing anything about it going in. The movie poster art looked like Frank Frazetta might have done it (couldn't fool me now) and the poster said BRIAN MAY did the music. Being a huge fan of QUEEN, that was all I needed to grab my buddies and head for the movie house. Of course, I found out later it wasn't THAT Brian May. But the movie with its ground-breaking kinetic action and "other-wordly near-future setting" blew us away! A few years later, we were the "coolest kids in the room" when THE ROAD WARRIOR blew up and we were the only ones who knew it was a sequel. Loved BEYOND THUNDERDOME too! The fourth "MAX Flick", FURY ROAD has been a rumor for years, and while I would have been crazy excited to see an old grizzled Mel Gibson play Max again, I'm jazzed to see what the incredibly talented Tom Hardy will do with the character. 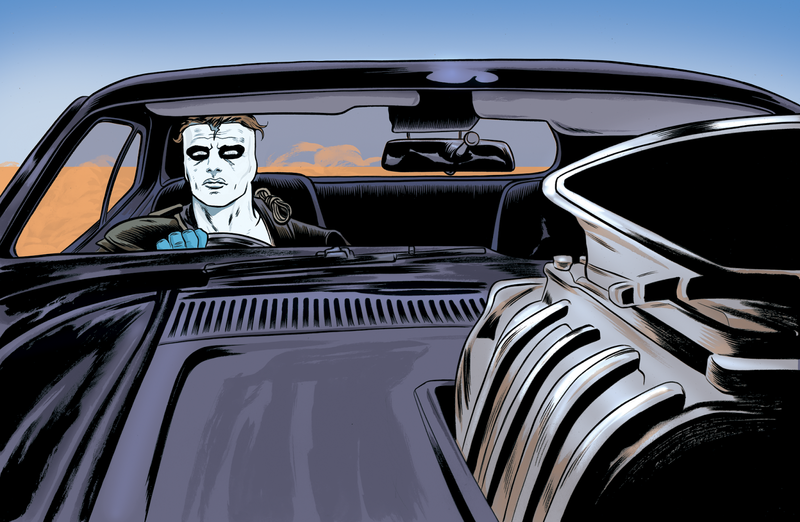 Love the character and the immeasurably influential world George Miller has built. So I was over the moon when asked to contribute to the Vertigo Art Book. 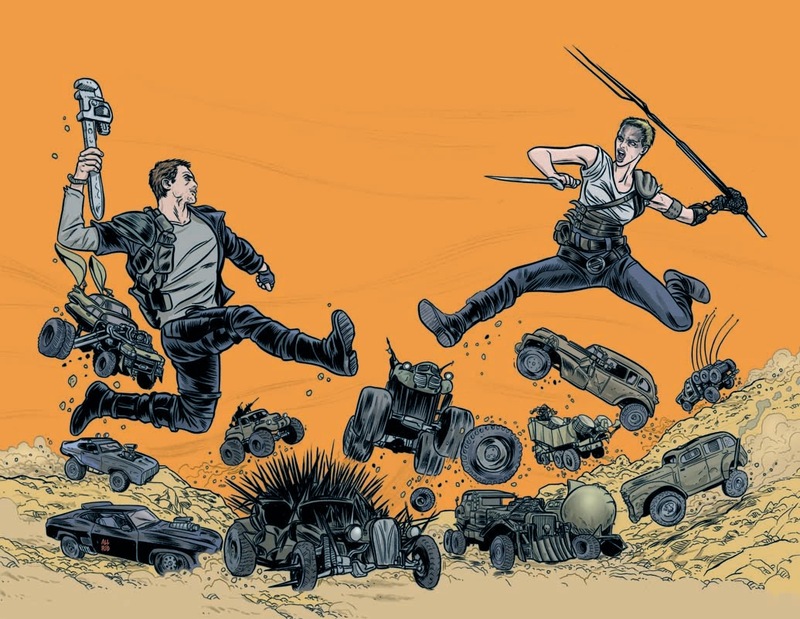 Here's my contribution with Max and Charlize Theron's Furiosa! WAY? YES WAY! 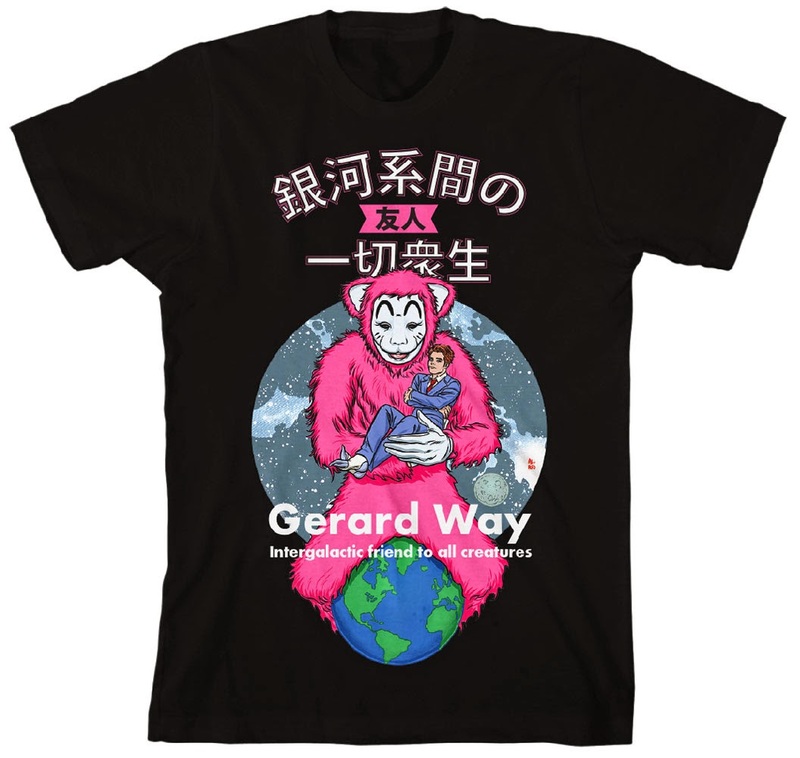 GERARD WAY T-SHIRT! 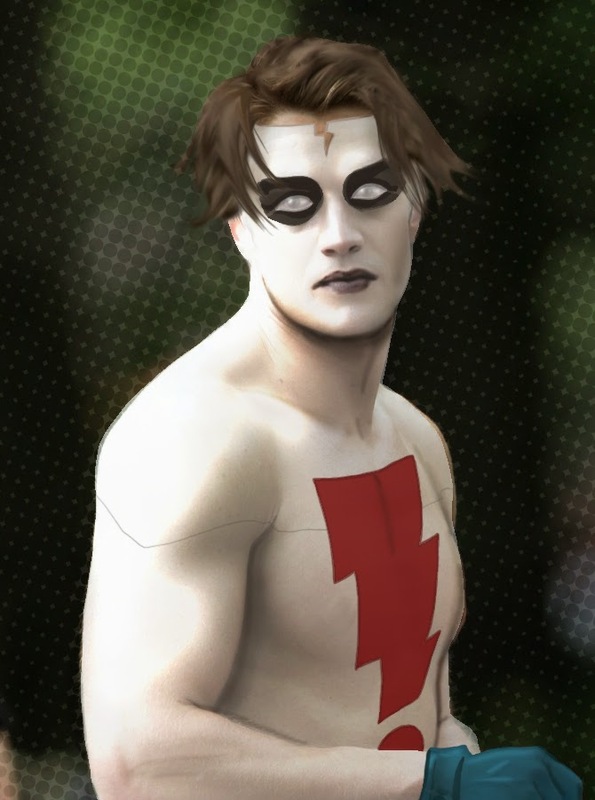 MADMAN LIVE ACTION MAKEUP DESIGN! come very close to what's been in my head. that was left at our house after Craig and Sierra Hahn visited us on the coast. Crazy excited for Craig's upcoming sci-fi book to be published! directed with panache by Christopher Coppola, this baby was birthed. order to get the moon over Gregory Sporleder's shoulder. Whoosh! Kari Wuhrer, and Vanessa Angel. Here be that CBG cover I mentioned in the last post. The Horror. The Horror. 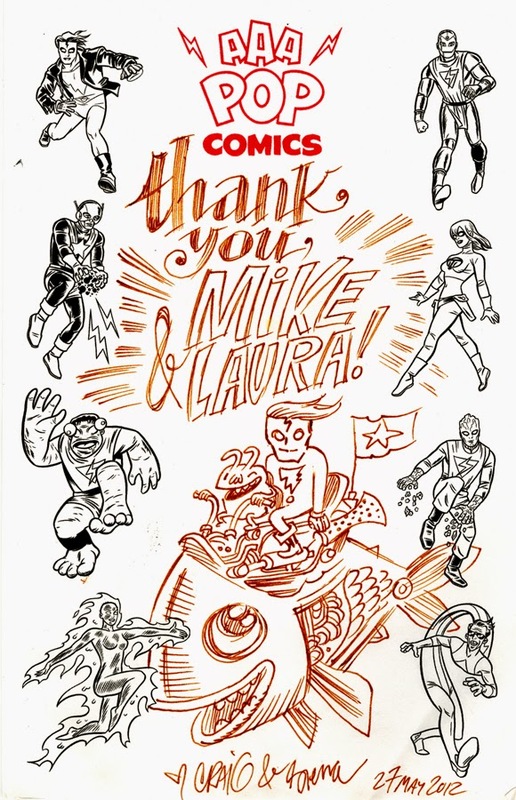 Huge thanks to our pal Bill Morrison! 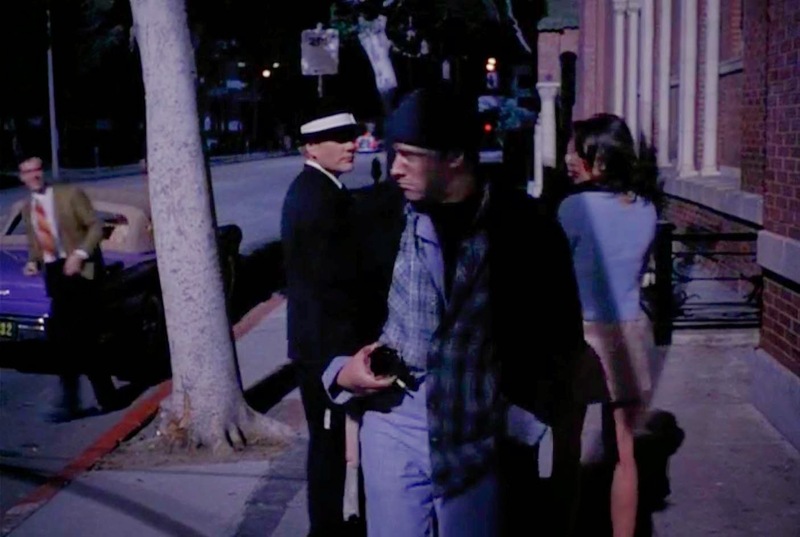 More reflections of pop culture connections past. 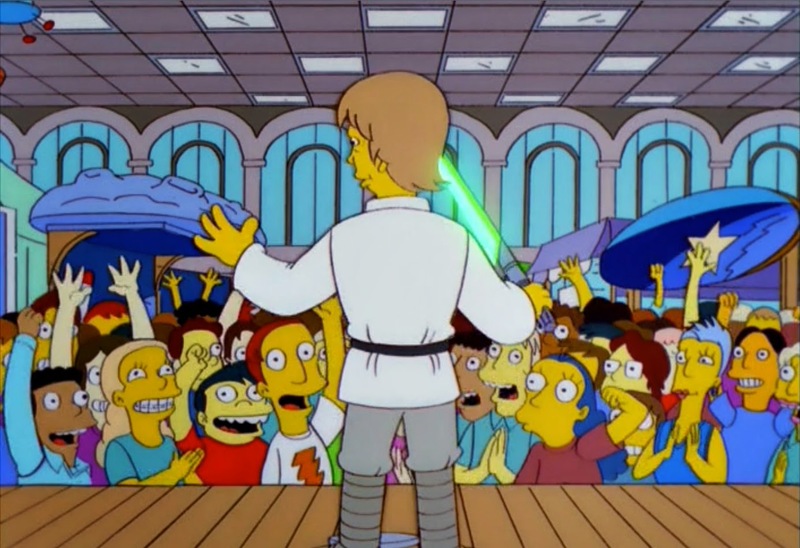 In "Mayored to the Mob" (Season 10 episode 9 of THE SIMPSONS) I was able to briefly share the stage with THE Mark Hamill (in his Luke Skywalker togs no less!) as I rushed him from the left. It's a don't-blink-or-you'll-miss-it-moment, but thrilled us out of our noggins just the same. 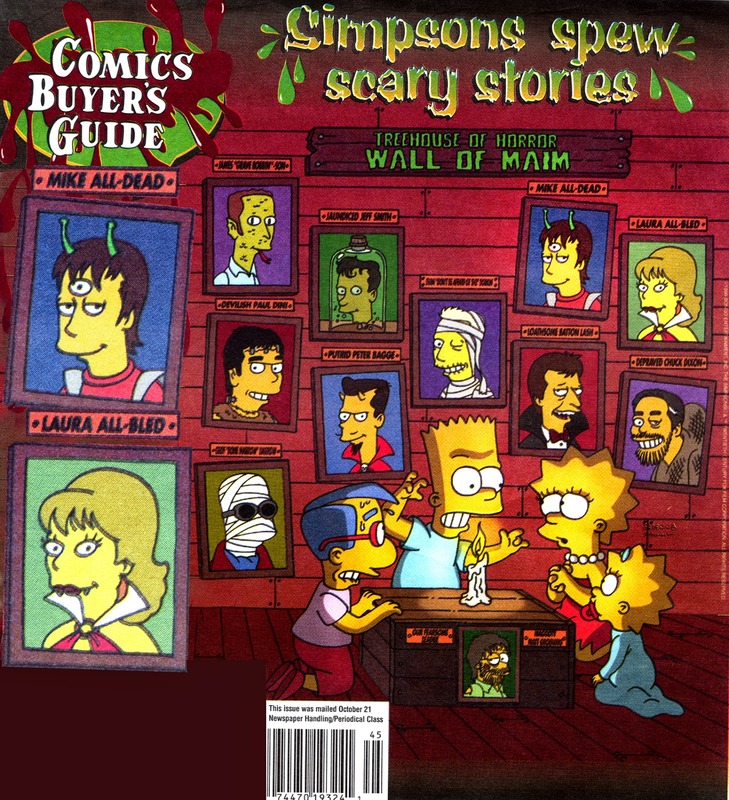 I also got "Simpsonized", and Laura too (as Michael and Laura All-bled), on the cover of The Comics Buyers Guide promoting the very first issue of TREEHOUSE OF HORROR where I wrote LITTLE SHOP OF HOMERS. Look to the lower left! THERE I BE! 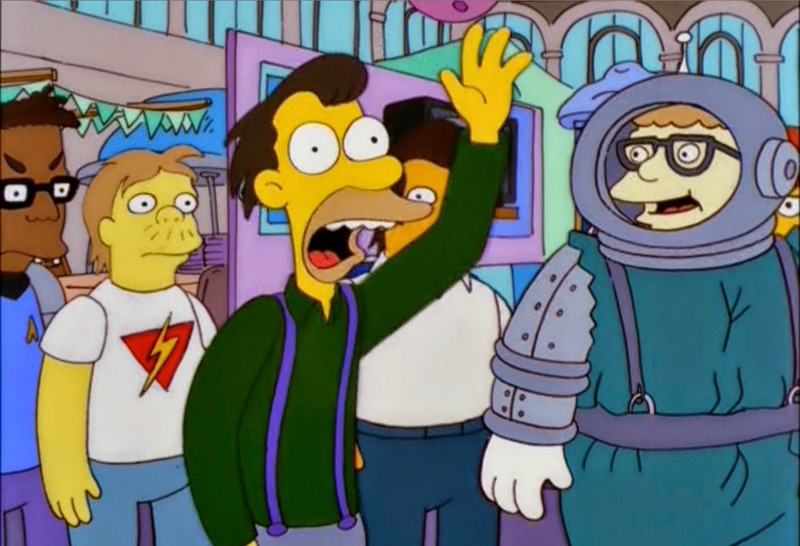 There was also a dude in the front row wearing a white "Excite-ning Bolt" T-shirt! And THE ATOMICS! 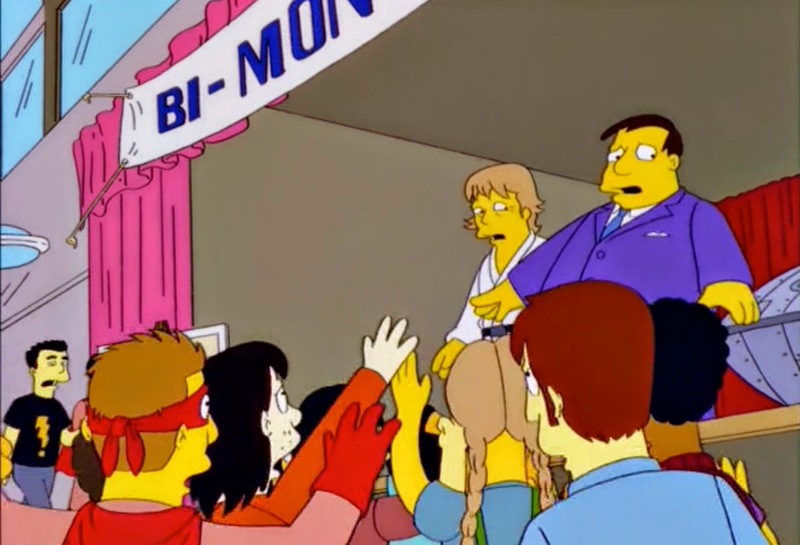 The week the episode originally aired there was a promo with yours truly in the black shirt running up and between Homer and Hamill! Wish I could get a clip of that! So nifty! 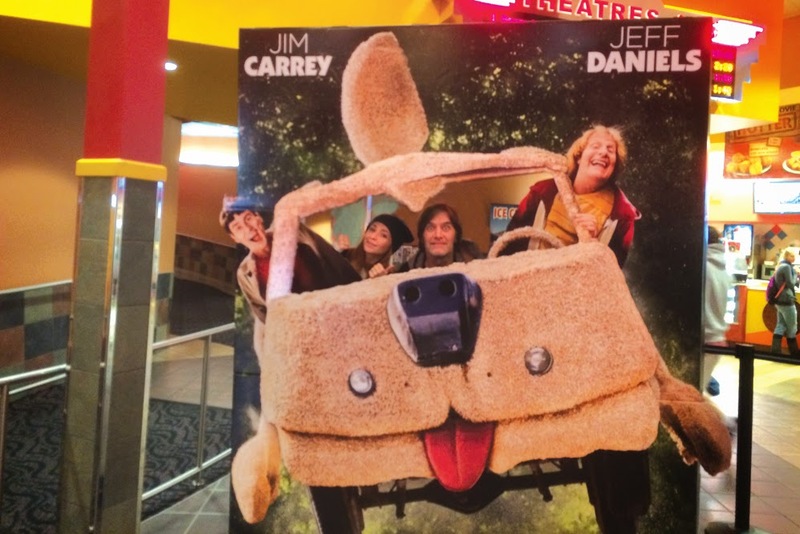 Kelby and I on a ride with Jim Carrey & Jeff Daniels. Rubbing shoulders with more big shots. Wink. Doing some looking back. 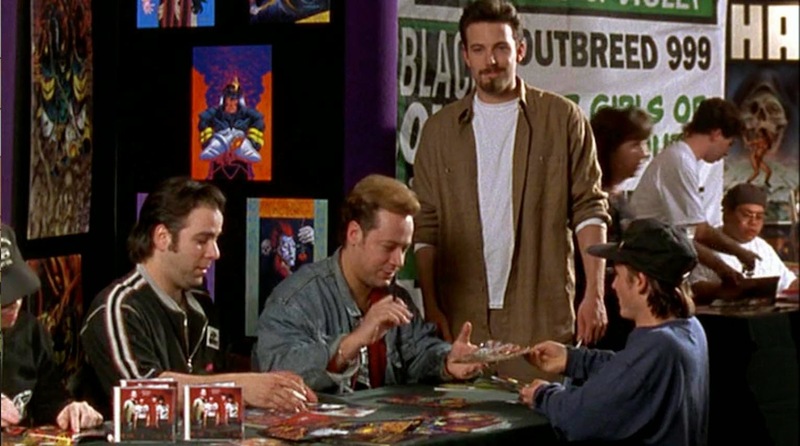 The making of Chasing Amy doesn't feel that long ago…but I guess it's been a while. 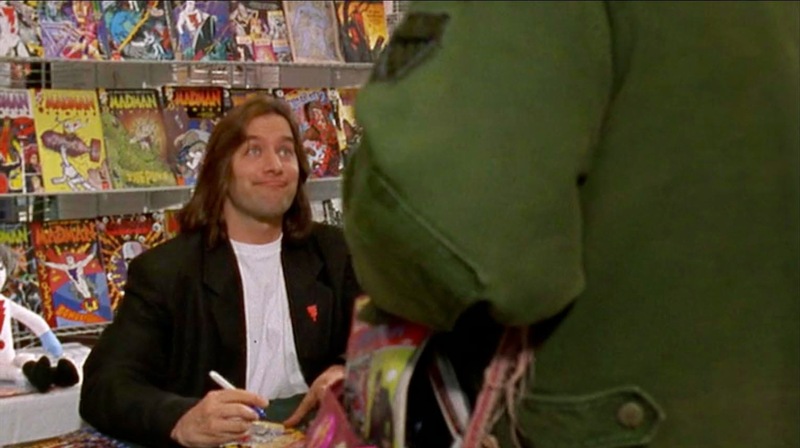 This movie comes up at least once at every signing appearance we do. 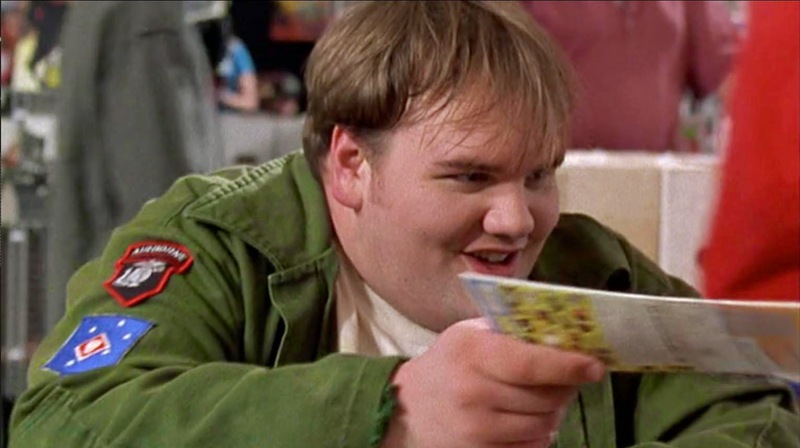 I shared my first movie scene with the great Ethan Suplee (with his awesome back to us here) with the opening line of, "I love Chow Yun-Fat, but I don't think he'd be right to play Madman". Now, where's my Oscar! And speaking of Oscars, Ben Affleck won his first for co-writing Good Will Hunting very soon after this. 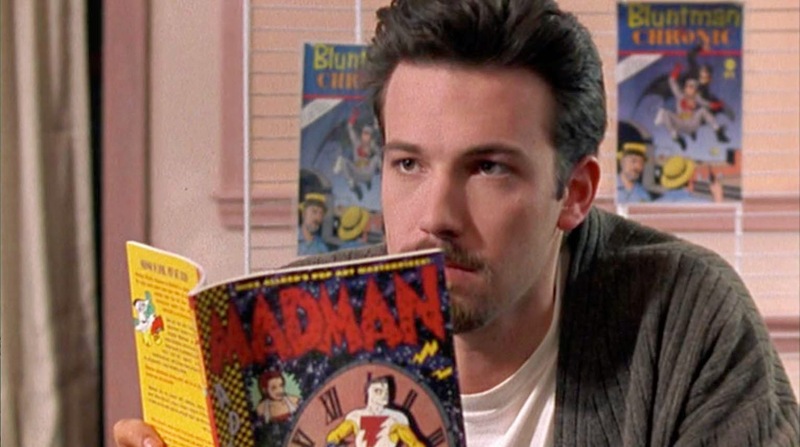 Look how much he's enjoying reading that MADMAN collection! The Universe has just opened! Notice how my booth is completely opposite of Ben & Jason's (Holden & Banky's). 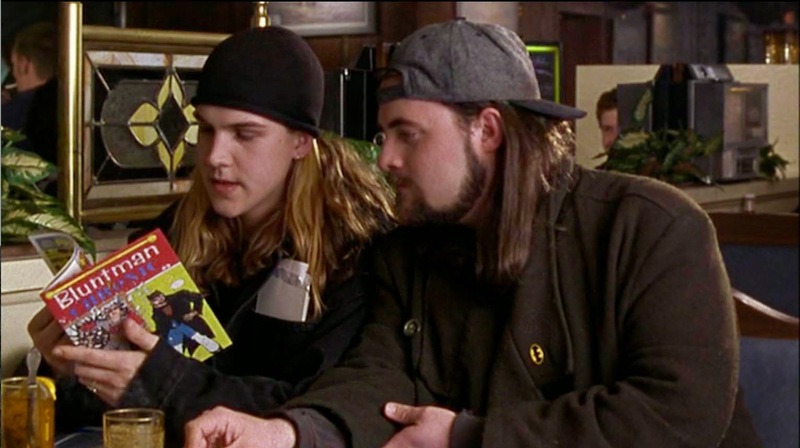 It was great fun getting to know everyone including Scott Mosier on the left (the Producer), who I met for the first time in San Diego the same time I first met Kevin Smith, and Ben's younger, and extremely talented brother Casey Affleck. 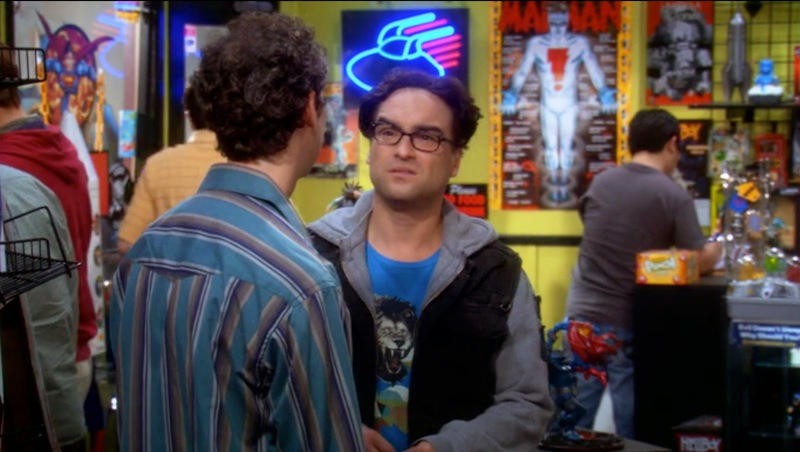 The big Madman poster in the background is to my right from where I'm sitting. Somewhere I have lots of behind the scenes footage that I shot of this day, including take after take of the great Jason (Syndrome/Buddy Pine) Lee thrashing Scott Mosier. And, of course, the amazing Joey Lauren Adams! 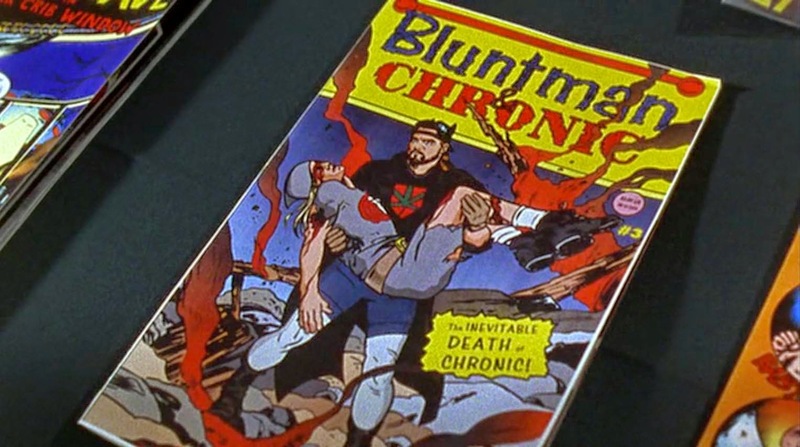 I was privileged to draw her on the cover of the CHASING AMY comic seen at the end of the film. 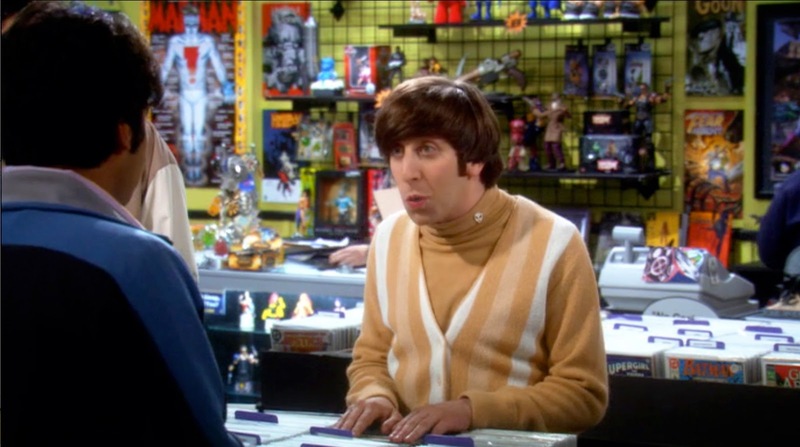 Jason is sporting a Madman "Excite-ning Bolt"from that year's "Fall Collection". A new version of the shirt is now available in the "Shirt Shop" (at right)! 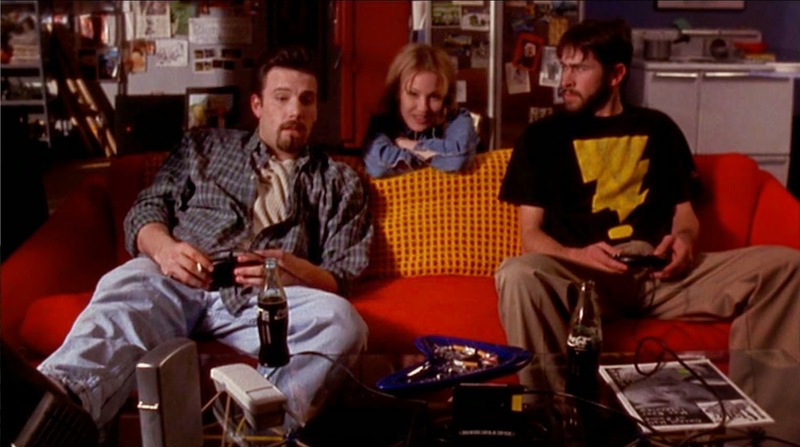 Kevin had a giant condo at the Sundance Film Festival where CHASING AMY debuted that a bunch of us stayed in ( I think Miramax sprung for it. Not sure). The film received an extremely enthusiastic standing ovation at its screening. Lots of famous faces in the crowd. I remember being pretty excited about meeting Roger Ebert (even though he'd slammed a lot of my favorite movies). The after-parties were insane. Joey wanted to keep going and going (it was her week after all). Because I was the only one with experience driving in the snow I ended up being the one behind the wheel of the rented SUV. We plowed through some serious banks of snow going to various fancy mountain homes. A thrill, but I was terrified of being responsible for wrecking a vehicle full of so much talent on their big night. 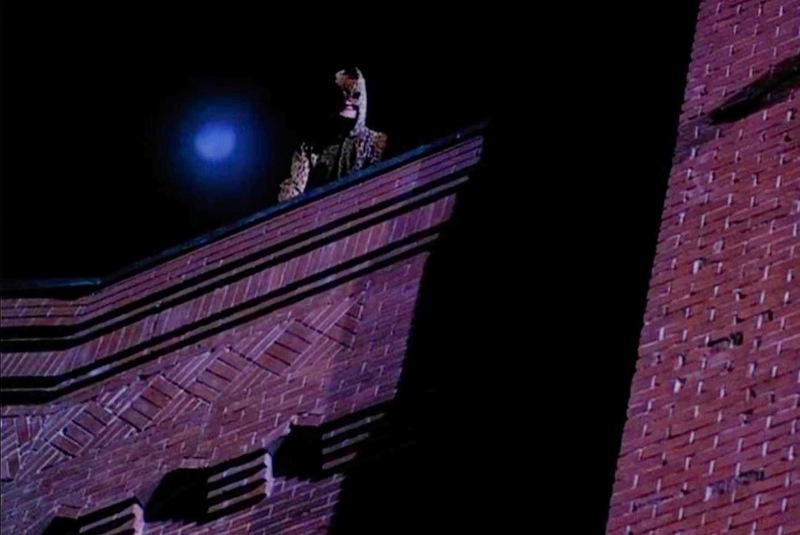 Look who Ben's hiding behind at the end of the flick! That's Jimmy Palmiotti and Joe Quesada (super swell fellas! You may have heard of them!)! BIG BANG SECRET TO SUCCESS! Feature a cool comic shop and shoot to NUMBER ONE! Wait! What's that on the wall in the back?! I get a big kick out of stuff like this, when our stuff squeezes into the Pop Culture Zeitgeist. 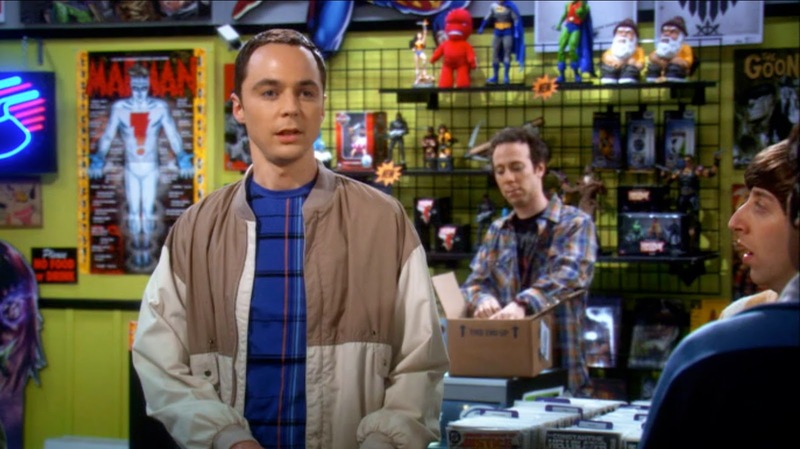 So, I'll admit to having a great time being able to show off these stills when Madman, Hellboy, The Goon, and other indies were featured heavily in the earliest appearances of the Comic Shop on TBBT! 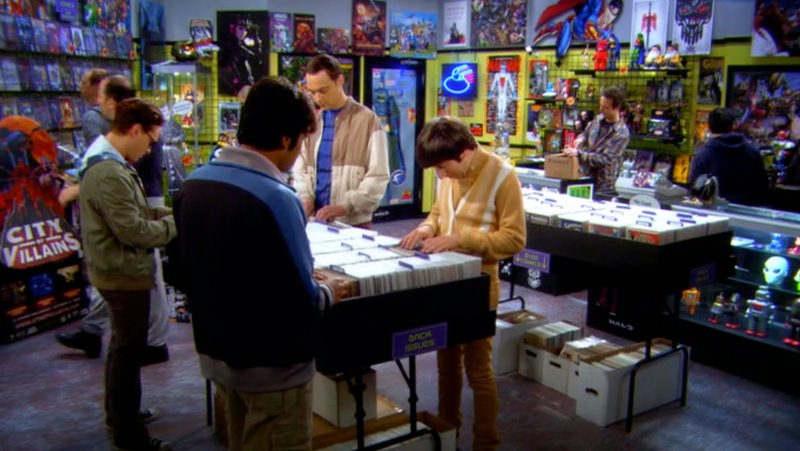 Sheldon expresses the joy of smelling new comics getting unboxed (in the background). Also happy to report that the Big Bang cast were all staying at the same hotel as us at SDCC and all of them could not have been nicer to us and our kids when we were all at the pool together. Terrific folks! Laura had actually met Johnny Galecki years before when he was on the ROSEANNE Show and had a great impression of him then. Always nice to see good folks do well. step further with Christian LeBlanc's 3D mastery on each surface. Now go get out the scissors and glue and cut up yer book! 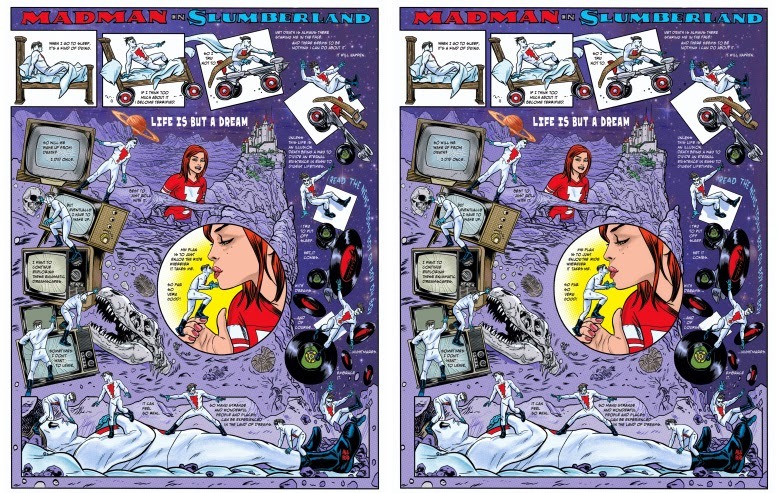 Mark Buckingham…etcetera, etc… AMAZING INCREDIBLE STUFF! Liverpool who influenced the whole world in the best way possible. You may have heard of them). Now rock out to this "Atomics"number! in an alternate universe that is terrifying and enticing at the same time! artist extraordinaire! And now in 3D! you look at this crackling rocker for the full effect, kiddies! Special. Exciting, unique, and rich with detail! on PRETTY DEADLY. Love her version of Doctor Strange too! LINKS AT THE SPEED OF SOUND!